The Independent National Electoral Commission (INEC) has explained that contrary to people’s believe that the National Assembly had fixed the dates for election, it they only fixed the sequence of elections. DAILY POST reports that there has been a controversy trailing the proposed amendment to the Electoral Act recently passed by the National Assembly currently awaiting the Presidential assent to become a law. 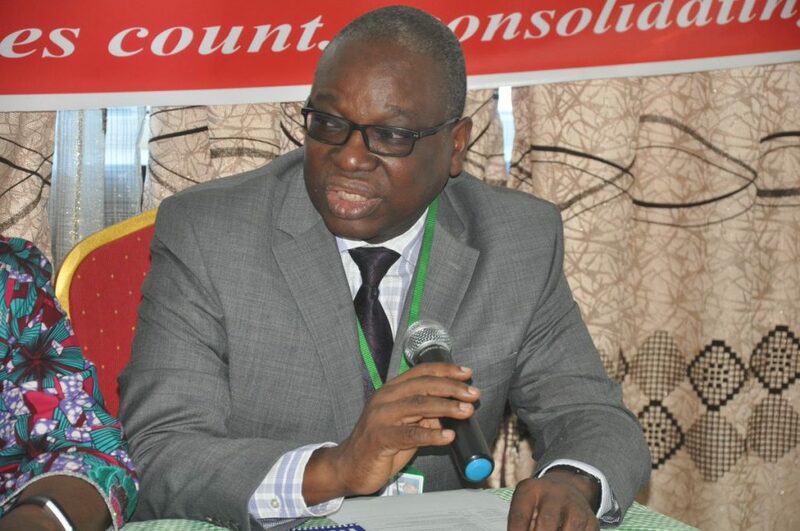 But, INEC’S Director, Voter Education and Publicity, Mr Oluwole Osaze-Uzzi, said the proposed amendment should not create anxiety within the polity as the basic principles were still the same. “I want to explain to Nigerians that we are dealing with the sequence of election not dates of elections. They still reserve the power on the commission to fix dates for the elections,” he said when featuring as a guest on Channels Television’s News At Ten last night.. However, Osaze-Uzzi added that Electoral Act (Amended) Bill, when assented to by President Muhammadu Buhari, would have an impact on the 2019 general elections. According to him, the electoral body will be forced to add another day to the poll should the bill become a law. “If it becomes law, obviously it would have an effect if the total number of elections or days set aside for election are three days, then all we have to do is add another day. “If it becomes law and it is operational, then we add another day. The second election will come two weeks after the first. The commission may look at it and say the third election might come a week or two after,” he said Osaze-Uzzi’s comments come a week after a Senior Advocate of Nigeria, Mr Femi Falana, had stressed that INEC has the sole right to fix dates for general elections in Nigeria under the current dispensation. Falana told Channels Television that the amendment made by the legislature in 2010 in sections of the Electoral Act to the effect that the National Assembly would have the last say on elections is illegal. “It is the height of legislative absurdity to stipulate that the constitution of the country which is the granum will be read subject to an act of parliament, it’s the other way round,” he said while reacting to the controversy trailing the election sequence in the country.